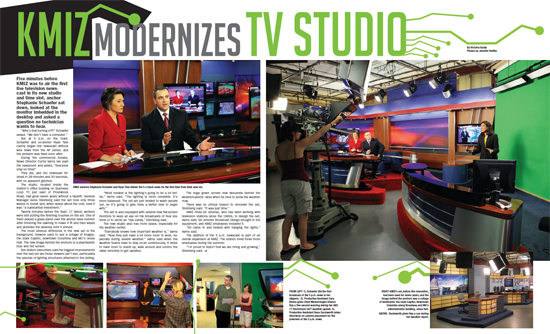 The Columbia Business Times, the local business publication serving the Mid-Missouri market, featured the new set at KMIZ-TV in its latest issue. The full PDF is available online here. The magazine also has an online version with additional photos.